Home | CPR it Works! Sudden Cardiac Arrest can occur at any time, to anyone, anywhere. People who experience Sudden Cardiac Arrest can die because they don’t receive immediate CPR from someone close-by. As a family member, friend or bystander, you can take action to save someone’s life! That’s why CPR it Works exists. The objective of our mission is to integrate CPR in the mindset of others — to create an awareness of the effectiveness of quality bystander CPR, AED, and its place in the Chain Of Survival. We seek to inspire and unite communities through the narrative of our 25 year old son’s Sudden Cardiac Arrest — sharing his survival story and coming alongside and supporting those who have lost loved ones in similar cardiac events. As part of our community outreach, we offer CPR Awareness Classes to encourage others to embrace the challenge of being prepared to save a life. We offer American Heart Association classes in BLS, CPR, and HeartSaver. American Heart Association – HeartCode BLS Key & Skills. Upon receipt of online completion certification, call 714-514-5548 to schedule your 45 minute to 1 hour skill test With CPR it Works AHA Instructor – location Brea or we are mobile and can come to you within a 18 mile radius of 92821. DIRECTIONS: Please include your email when ordering. The online key and instructions on how to login and register for the course will be emailed to you. The HeartCode BLS Online Course uses the latest eSimulation technology to enable student to assess and treat patients in virtual healthcare settings. Utilizing a variety of eLearning assists such as dramatization, eSimulations, animations, self-directed learning, and interactive activities, this course teaches BLS knowledge and skills. This method of learning provides training consistency, adaptability to different learning styles, and flexibility for the student’s and employer’s time. Students can work at their own pace applying their knowledge to real time decision making and skills development. Blended training also supports the need for hands-on learning go psychomotor skills. Debriefing and coaching are provided immediately after each simulation. Upon successful completion of all the patient cases, students will take a multiple choice exam and must pass with a score of 84%. Exam may be taken multiple times. The HeartCode BLS Online Course is a self paced course accessible anytime from any computer. This course may be used for initial or renewal BLS Provider Course. After completing the online portion, Students practice and demonstrate their skills with an AHA instructor. AHA Certification Cards will be mailed to you within 10 business days. Ecards coming soon. In the interim, if you need proof of certification sooner than 10 days we can provide a letter indicating your successful completion. Length: Online class average 1.75 hours/Skills Session 45 minutes to 1 hour. Students must bring Certificate of Completion from Online class. Upon receipt of online completion certification, call 714-514-5548 to schedule your 45 minute skill test with an AHA Instructor at CPR it Works in Brea. We are mobile and can come to you. First aid instruction includes bandaging, bleeding, wounds, choking, shock, seizure, fainting, broken bones, sprains, burns, bites, stings, poison, and temperature- related conditions. CPR includes Adult, Child, Infant and AED use. The Heartsaver Online Course is a self paced course accessible anytime from any computer. This course may be used for initial or renewal Heartsaver Course. eBooks are included. After completing the online portion, Students practice and demonstrate their skills with an AHA instructor. Call 714-514-5548 to schedule. Upon receipt of online completion certification, call 714-514-5548 to schedule your 45 minute skill test with an AHA Instructor at CPR it Works in Brea location or we are mobile and can discuss coming to you depending on distance. This class meets the requirements for the CPR and First Aid portion of California Title 22 and EMSA for Childcare Providers. The Heartsaver Online Course is a self paced course accessible anytime from any computer. This course may be used for initial or renewal Course. eBooks are included. 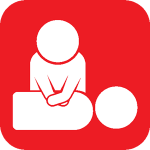 After completing the online portion, Students practice and demonstrate their skills with an AHA instructor and receive a Pediatric First aid CPR AED card, valid for two (2) years. Call 714-514-5548 to schedule you skill test once your online portion is complete. Meets the Occupational Exposure to Bloodborne Pathogens Standards (29CFR 1910.1030) published by OSHA. Receive Online Key by Email! Online-Only CourseThis class is only available online. There is no skills test or demonstration required for completion of this Course. There is an optional written exam if the employer requires an exam for completion. The American Heart Association Has been accredited as an Authorized Provider by the International Association for Continuing Education and Training (IACET). The AHA is authorized by IACET to offer 0.5 CEUs for this program.  In our effort to educate the community, CPR it Works, LLC is offering our free Community CPR AED Basics Training to anyone interested. The class will be instructed by a local firefighter/paramedic and AHA Instructors from the CPR it Works, staff. This class is appropriate for anyone over the age of 7 years old. This might be the best 2 hours you have ever spent…and its FREE! An experience you don’t want to miss! Understand answers to most frequently asked questions, egs, Good Samaritan Laws, will I break ribs, what if I hurt them more?, how will I know they need CPR?, etc. Although American Heart Association materials are utilized in the training, this is not an AHA certification class. If you are more interested in certification, please check our upcoming events for class options with AHA certification. Registration is Required – Seating is Limited. We are looking into providing childcare for ages 4-6. To be confirmed at a later date. Register below to confirm your attendance. If you are registered and unable to attend, please give us a 48 hour notice in order to open up your space for someone else. Contact: 714-514-5548 Thank you! 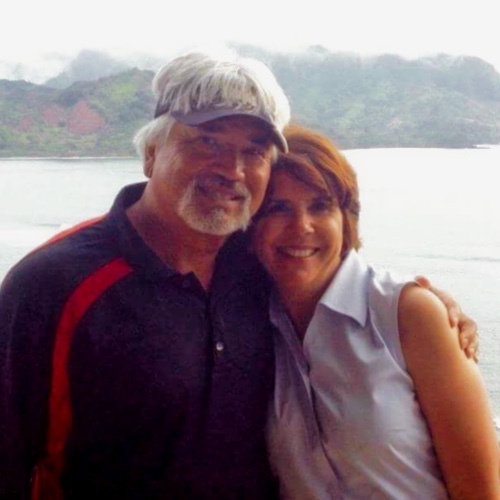 As Al and I reflect on when our son Daniel collapsed of a sudden cardiac arrest at home in our kitchen, we remind ourselves how grateful we are that within seconds of collapse, our son’s friend administered immediate quality bystander CPR. That, followed with emergency medical treatment from our local paramedics and hospital, drastically increased Daniel’s chances of survival and we are so thankful that he is still with us today! Almost 90 percent of people who suffer out-of-hospital cardiac arrests die. CPR, especially if performed in the first few minutes of cardiac arrest, can double or triple a person’s chance of survival. What we learned through this traumatic event is that most sudden cardiac arrests occur at home — and the chances of survival WITHOUT immediate bystander CPR is frighteningly slim. This is why we are encouraging everyone to be aware of the importance of CPR and become prepared to one day possibly saving the life of a friend or family member. Our website is a great place to begin equipping you with the knowledge and confidence needed to deal with a sudden cardiac arrest event. We hope that you’ll take advantage of one of our free CPR training classes or a more in-depth CPR certification course and that you’ll be able to connect with us at one of our community events as we attempt to advocate, inspire, educate, and train for quality bystander CPR. Sudden cardiac arrest kills more people than traffic accidents, handguns, house fires, prostate cancer, breast cancer, and AIDS combined - more than 350,000 each year in the US alone! A strong Chain of Survival can improve chances of survival and recovery for victims of heart attack, stroke and other emergencies. In this 5-minute appearance on the Today Show, Dr. Oz demonstrates how easy and effective hands only CPR and the use of a public AED can be. I've attended several CPR it Works community events with free training. Debbie and Al are great teachers and make learning CPR straight forward and accessible. Thank you so much for all that you are doing for our community...saving lives!! I highly recommend their training and classes. My daughter took a Child/ Infant CPR class here because she is a teen babysitter. The instructors were great and she learned so much. Thank you to Debbie and her team. I ask that you please provide more hands on training. On-Line classes are not excepted in many places.. I was referred to Debbie Medina by the American Heart Association. Our company has a national partnership with AHA and heart health is an important cause for our organization and myself personally. As part of our awareness campaigns, we partnered with Debbie on a Lunch and Learn session for our... read moreI was referred to Debbie Medina by the American Heart Association. Our company has a national partnership with AHA and heart health is an important cause for our organization and myself personally. As part of our awareness campaigns, we partnered with Debbie on a Lunch and Learn session for our corporate office. Debbie was a true professional from start to finish. She was supportive, attentive and responsive to all my requests and inquires leading up to the event. I loved the passion and personalization she poured into the training and she received rave reviews from our corporate team! Thank you to Debbie for sharing her story and creating such a remarkable experience for our group. Debbie is amazing at teaching her passion of keeping us safe and aware and helping the community work together in CPR and first aid. Excellent work and learning environment. Very through!